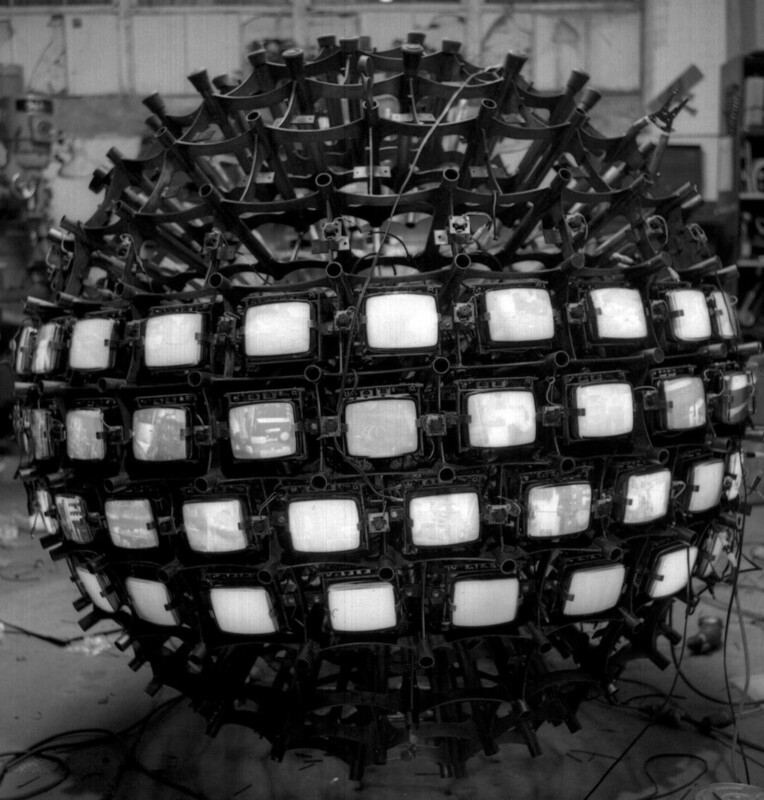 The sphere contains 215 monitors and 215 cameras. Each camera is opposite to the monitor it feeds. 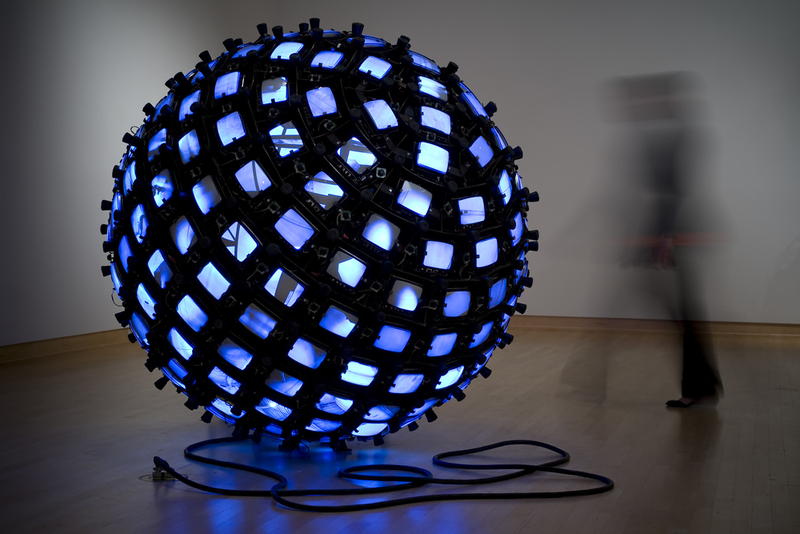 The sphere constantly recreates its surroundings on its monitors from every conceivable angle at all times. 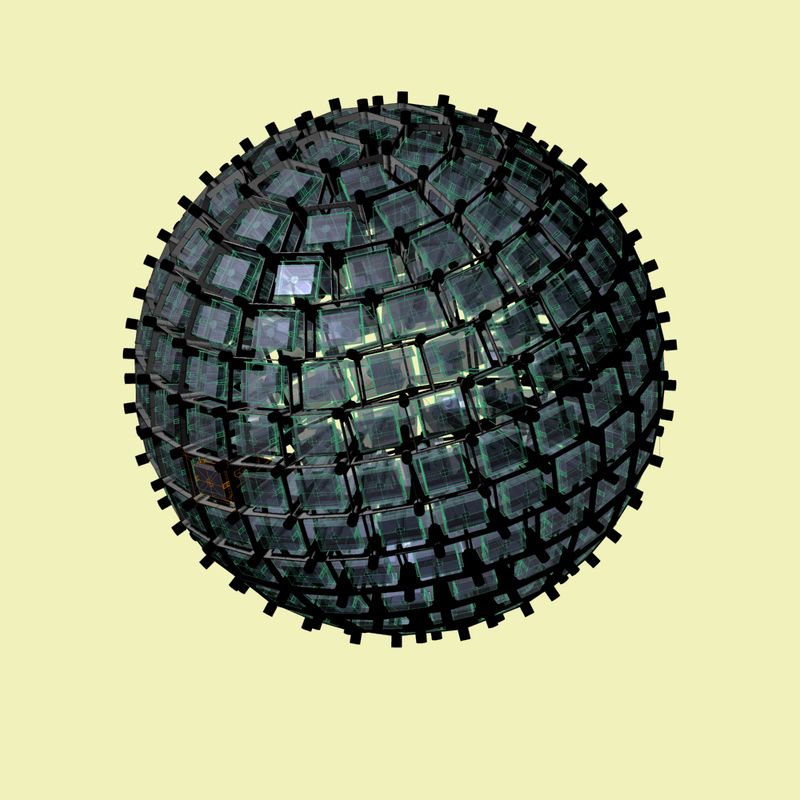 Invisible sphere was designed over the course of a year. Actual construction took about two months. 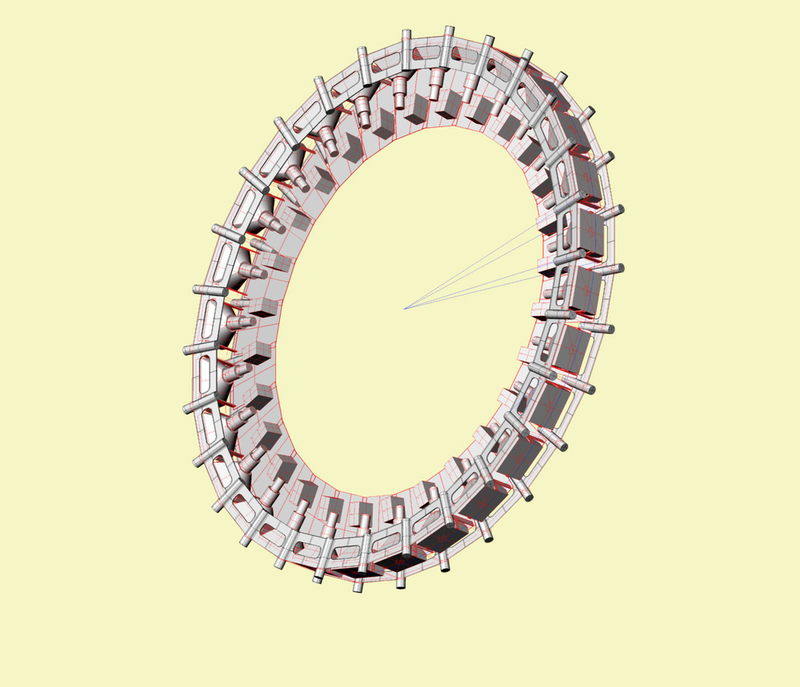 All design work was done in Rhino 3d. The metal structure was cnc plasma cut and welded. Each monitor is a sub assembly that can be easily removed for maintenance. The sphere weighs about 2500 pounds.